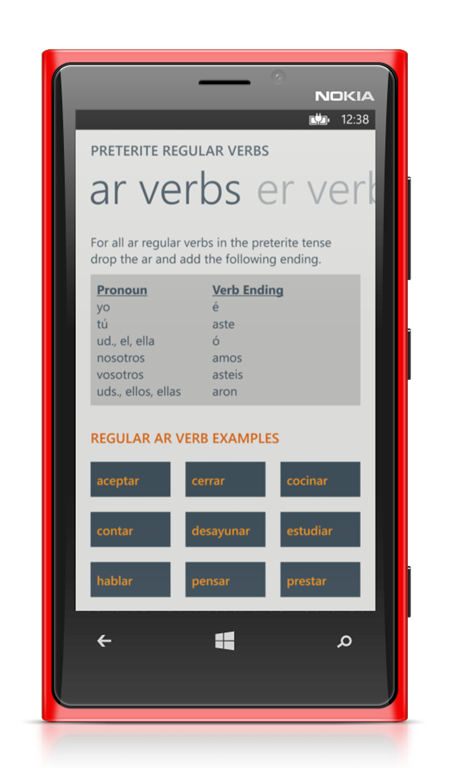 Over the last couple of months we have been working hard to update all of our Spanish language learning apps for Windows Phone. 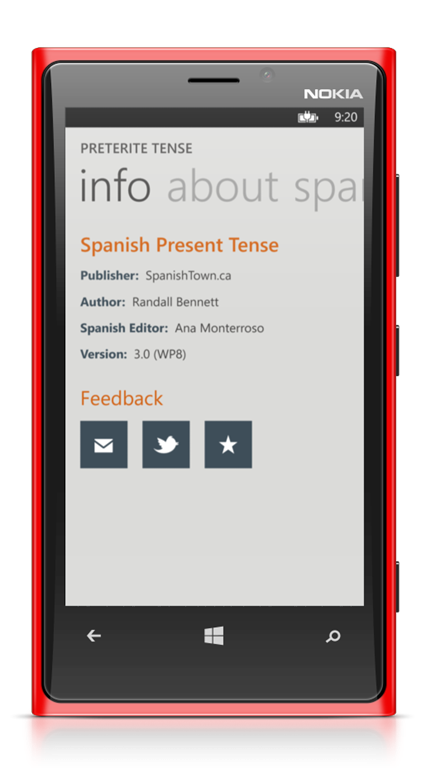 Originally, we were going to provide small updates for Windows Phone 8 users that would remove black bars and add the new tile sizes. 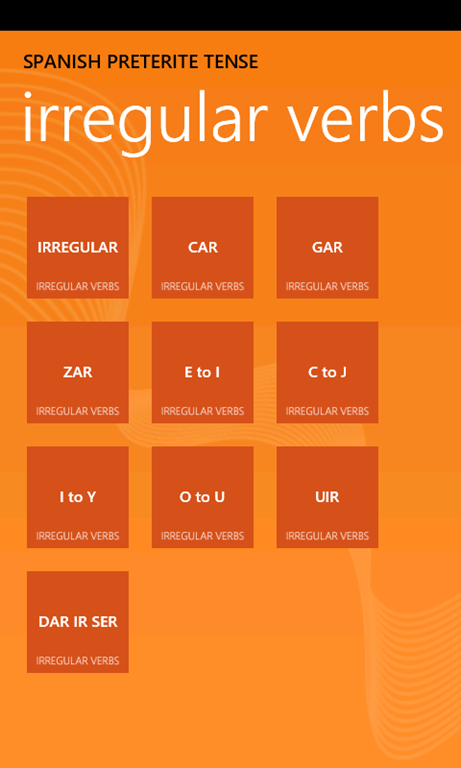 Once we started going through the apps we couldn’t stop and have actually begun to overhaul the apps with a spruced up look and feel plus additional content. 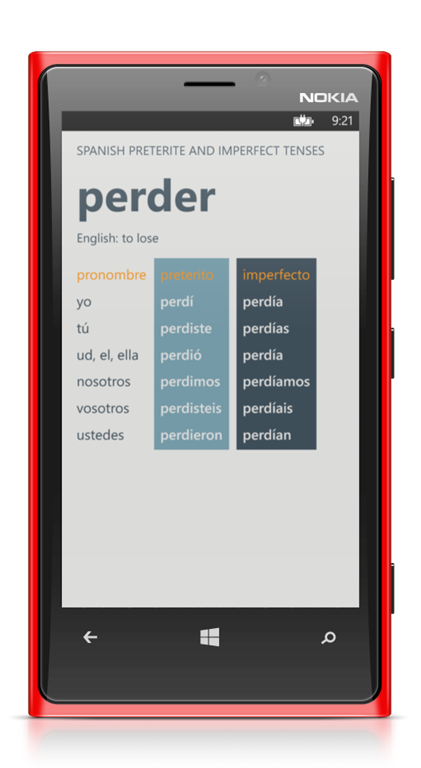 Removed the close button on the verb pop-ups. 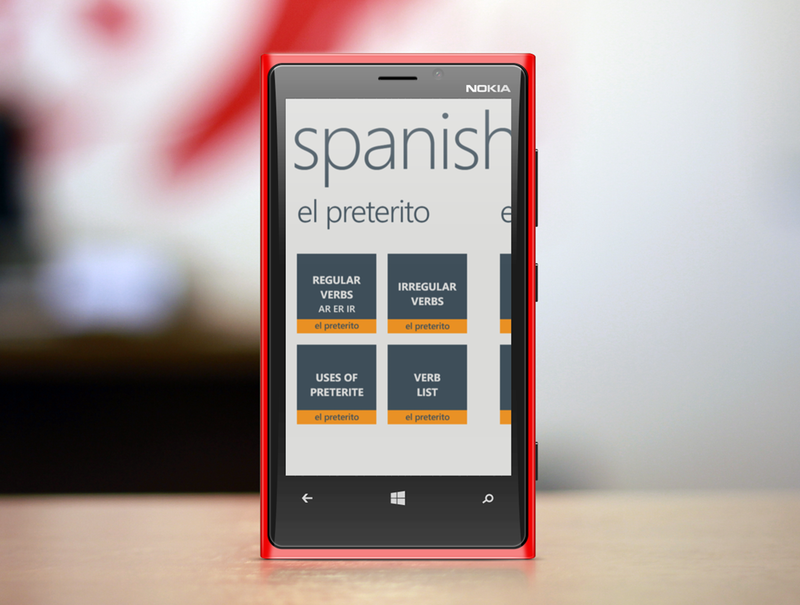 Simply tap the pop-up to close it. 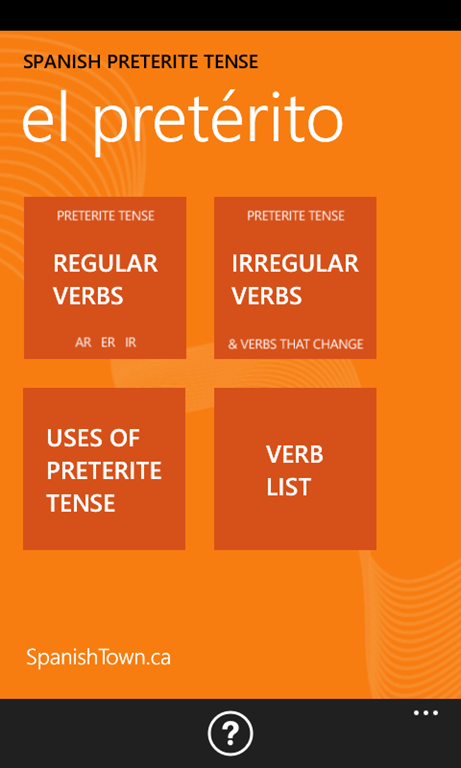 Added more verbs to the verb list. 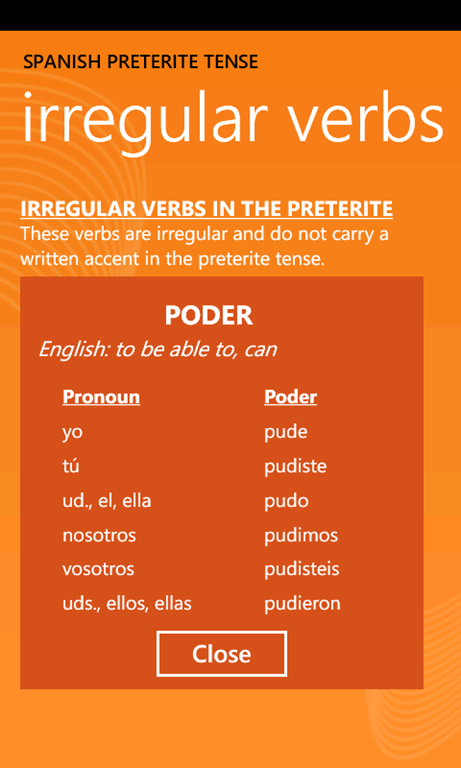 Verb list now includes both the preterite and the imperfect. 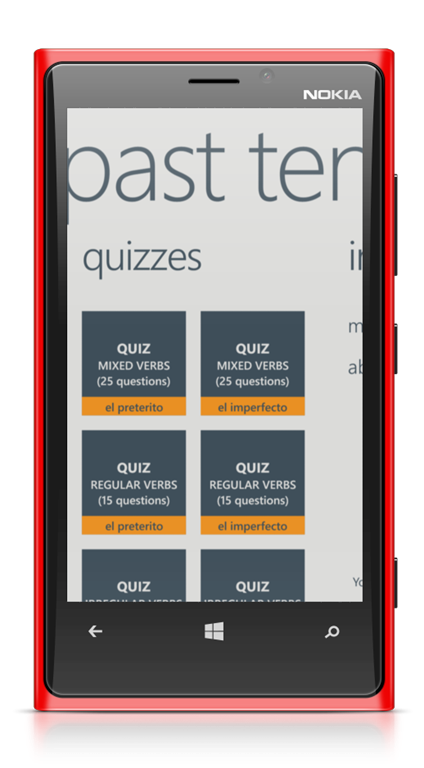 While the app is finished we do not have access to a Windows Phone 8 device for more in-depth beta testing. Unfortunately everyone here at SpanishTown.ca are still using first generation Windows Phone 7.x devices.